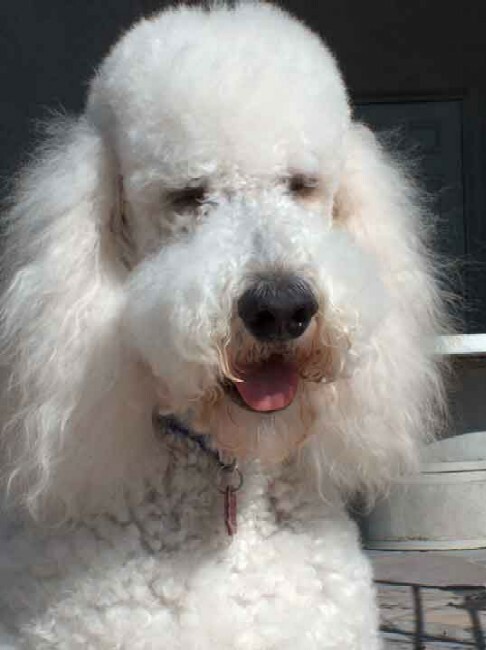 Tyler was a white standard poodle who was a friend of Garrett and Coco. Tyler was nine years old at this writing (July 2012). 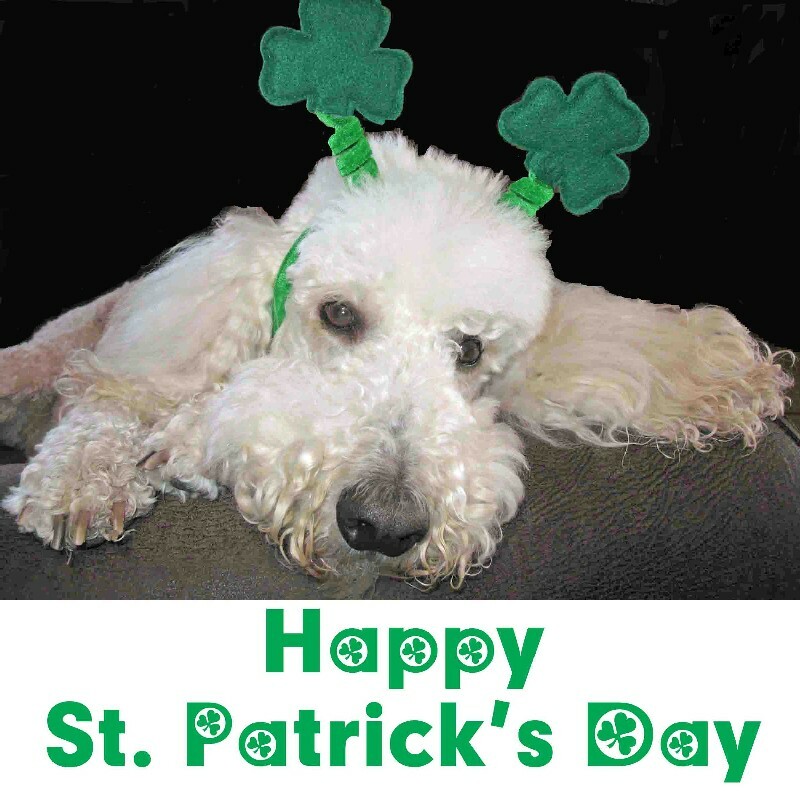 He was born at a breeder in Prescott, AZ and came to his forever home with our friends Dom and Chuck in Tucson when he was nine months old. 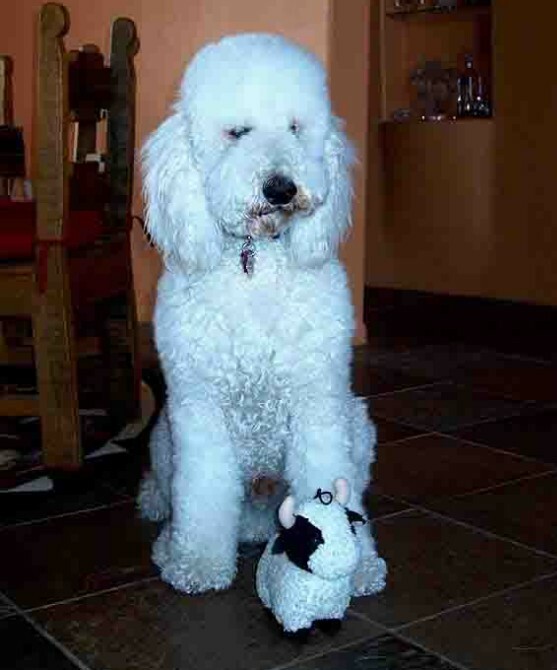 Tyler passed away in January of 2018 at the age of 15. 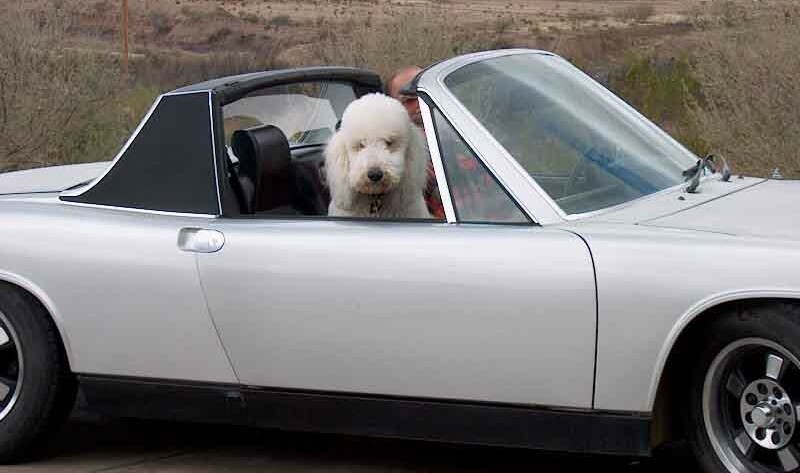 Tyler like to ride in a white convertible, just like Garrett and Coco. 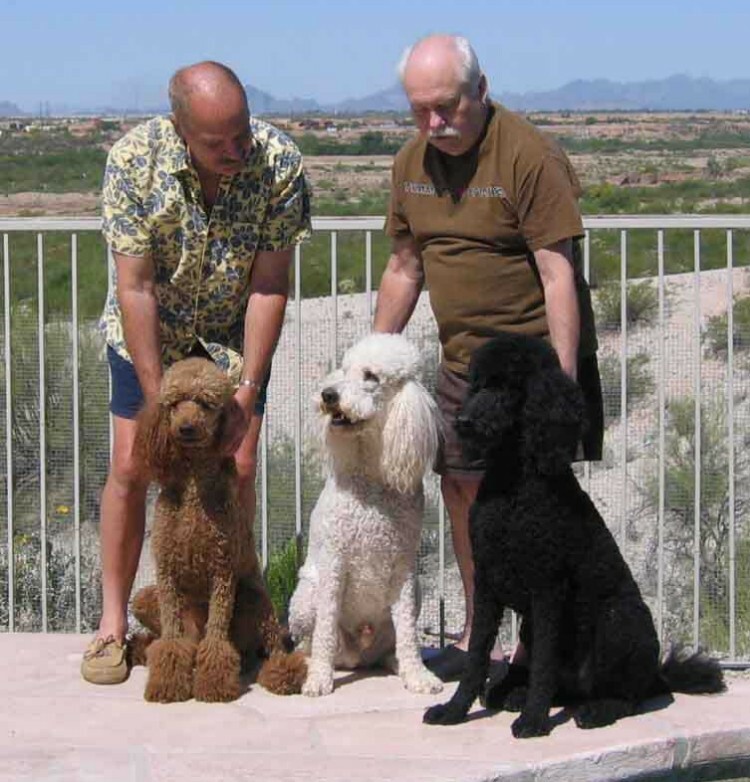 Tyler lived with two other standard poodles Lucas and Maggie and our friends Dominick and Chuck here in Tucson. 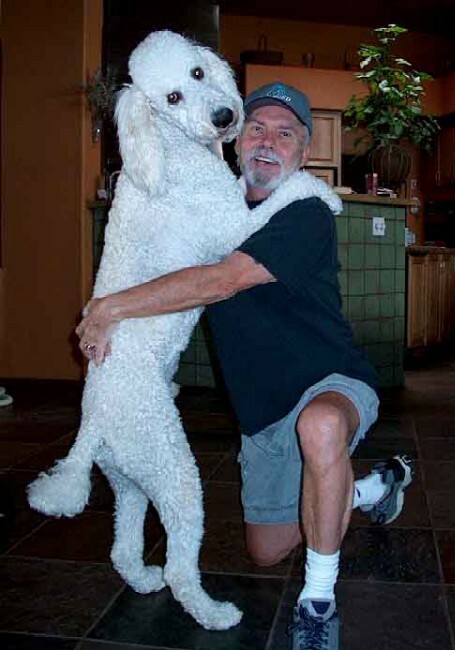 "The three of them love going in the pool for exercise and we try to do that almost every day. 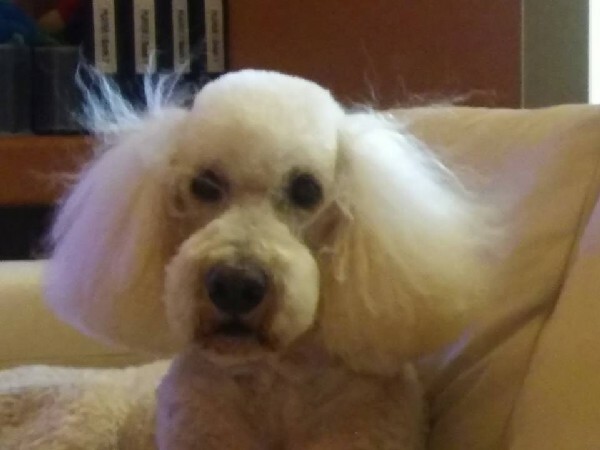 We've trained them that when they have their 'jump 'n swim' collars on they can go in the water, but if we're out at the pool and they don't have their collars, they don't go in the water. This is great because we don't have to worry about them going in swimming if we're not watching."